The pilgrimage happens this week, when tens of thousands of collector car fanatics gather in central Pennsylvania for the big daddy of car shows and swap meets. 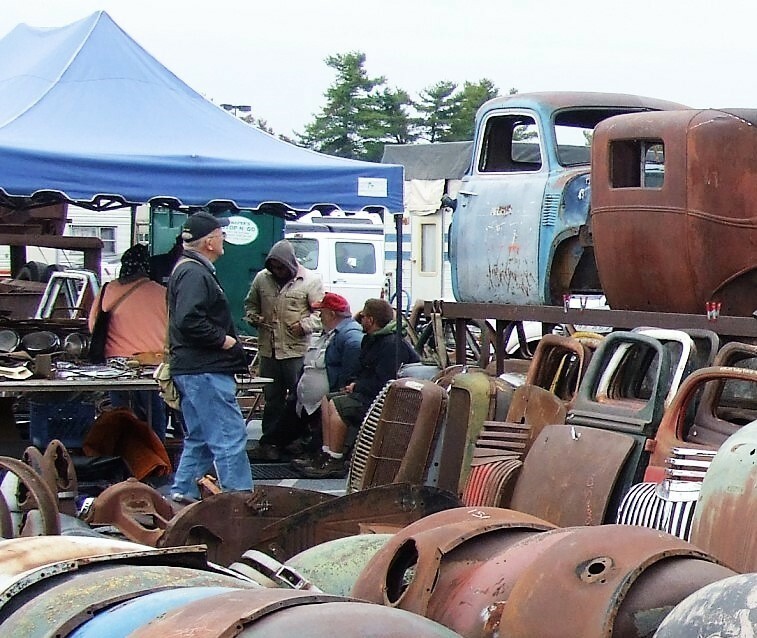 The pilgrimage happens this week, when tens of thousands of collector car fanatics gather in central Pennsylvania for the big daddy of car shows and swap meets, best known as Fall Hershey although officially named the AACA Eastern Regional Fall Meet. With some 9,000 flea-market spaces and a thousand veteran cars and trucks for sale, this can be an overwhelming display of old-car madness, as well as a joyful experience for anyone bitten by the collecting bug. Need a part for that old Ford, Jaguar or Duesenberg? There’s a good chance you’ll find it in Hershey. How about a car corral filled with collector vehicles for sale, from barn-find refugees to restored classics? That’s also in Hershey. Or a high-end RM Sotheby’s auction? Or a concours display of sparkling classic cars presented by the Antique Automobile Club of America? Ditto and ditto. The gates open Wednesday with the meet running through Saturday on the grounds of Hersheypark and The Giant Center in Hershey, Pennsylvania, the town made famous by chocolate bars. The show attracts hobbyists and collectors from all over the world, so be ready to experience some crowds. Fall Hershey turns 61 this year, and the sprawling event has taken on monumental proportions. 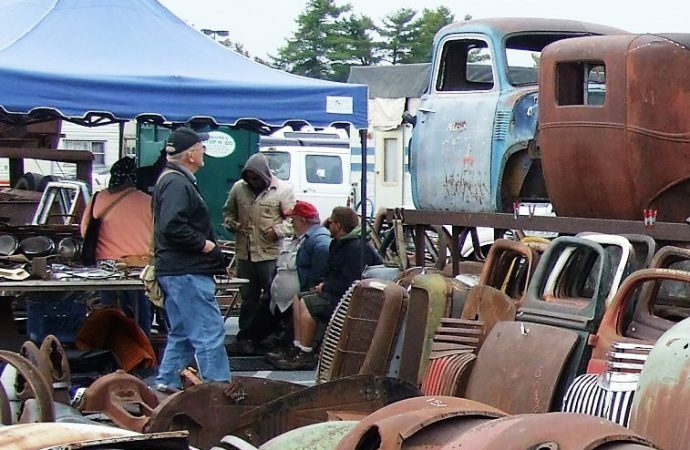 Newcomers will discover that it’s essentially impossible to browse the entire flea market in just a day, not to mention examining the cars for sale or taking in the auction, AACA show or any of the many other associated automotive events. Best to plan to stay for the whole four-day affair if you want to make the most of the experience. Advice from veterans include wearing comfortable walking shoes and bringing along some rain gear, since the meet has been doused more than once by stormy weather. Also, if you plan to buy, bring cash since many of the vendors are not equipped to handle credit cards. 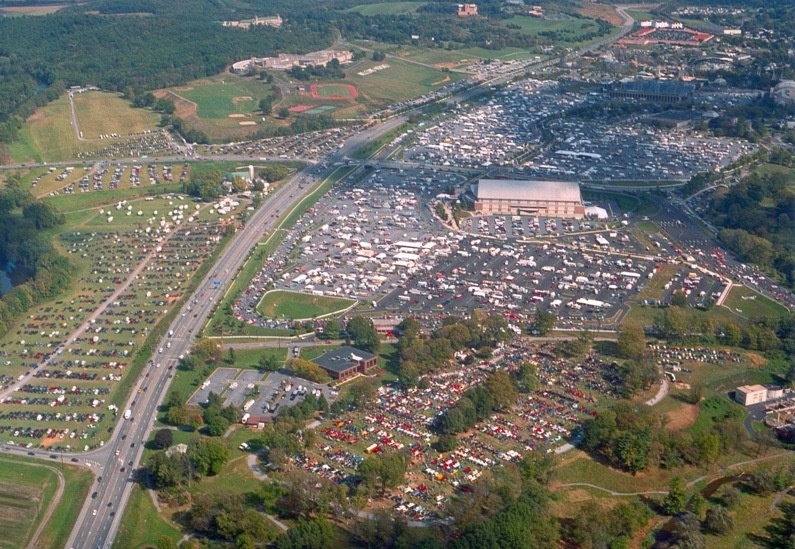 For information about Fall Hershey, visit the AACA website.